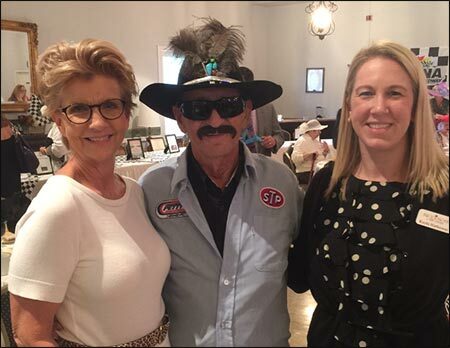 Rice & Rose Attorneys Kayla Hathaway and Beth King are pictured here with "Richard Petty," as they attend the 2016 Daytona Derby Luncheon and Fashion Show at the Palmetto Club. The Annual Event which is sponsored by the Domestic Abuse Council of Volusia County took place on February 4th at the Palmetto Club. This year's theme "Racing to End Violence for 40 years," highlights the ongoing efforts by the community to end domestic violence. The program included speakers, a fashion show and silent auction to raise funds for the shelter.